1). What is chatbot and why should I use it? A chatbot is a lightweight program designed to provide virtual assistant with the help of provided data-set. Chatbot can be voice or text-enabled depending upon its type. These intelligent bots access data from the cloud storage allowing users to use this application without downloading it. Thus, one can simply interact with a chatbot to resolve their query. According to the Business Insider report- 40 percent of customers like to use a messaging platform rather than calling to customer support. The worldwide chatbot market is expected to touch 1.23 billion USD by 2025 at a CAGR of 24.3 percent making it one of the most popular inventions in the digital world. 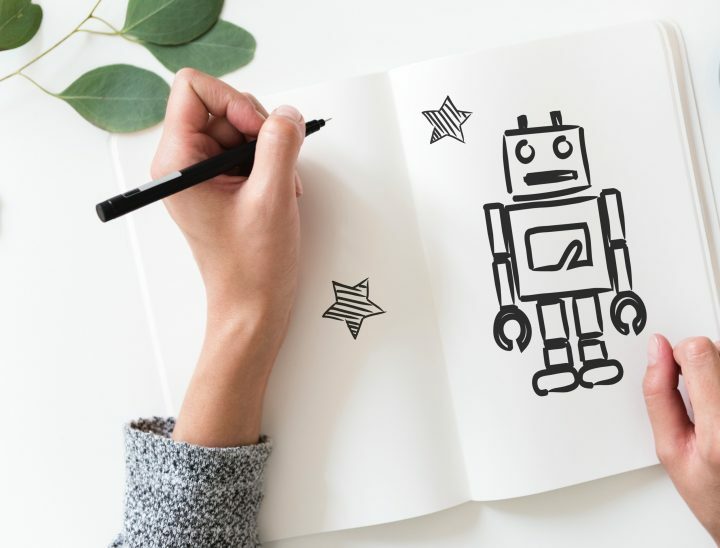 A survey conducted by Oracle reveals that 80 percent of CMO, CSO, marketers, and SSE from Netherland, UK are planning to implement chatbot or a few of them have already used it in their company. 40 percent of them are planning to adopt automation technology by 2020. 2). Where can I use it? Whether you are running an online business website or an application, you can integrate chatbot in them easily. Chatbot can be operated through a number of mediums. You can also implement it on your messaging platform. 3). Is it secure enough to protect sensitive data? Sometimes to complete a transaction, a user needs to provide their sensitive details to the bot such as credit card information and bank details etc. These business and user information are collected through a regulated and standard manner so that one can use it without any trouble. 4). How will I implement it? Whether you are from IT background or you have just entered this world all you need is a platform where you want to integrate it. In a traditional computing system, it was very difficult to develop such application as they demand a huge number of infrastructure resources, manpower and thousands of lines of code. But now after cloud computing is introduced to this digital world, it has become easy to develop such an application. One can leverage cloud Software as a Service (SaaS) or Platform as a Service (PaaS) or Infrastructure as a Service(IaaS) and you will only pay for what you used. You can go through Machine Learning Course, blogs, videos, tutorials, notes etc., and explore this technology in depth. Once you will understand the internal working, available packages and data sets are enough to fulfill your demand. Once created integrate it with your platform and start rocking. If you don’t have any prior experience in coding, don’t worry, you can choose various SaaS application available over the internet. And rest is assured you will get what you wanted. 5). What kind of data source will it use? Chatbots are nothing without data. This data is collected from various sources such as website, historical documents, inventories etc. For an effective chatbot, you need to avail a good source of information. And the biggest question is where will you get this qualified information. And the answer lies within- first decide what is your main goal such as for hotel website you can make chatbot to assist visitors, customers, schedule appointments, make a booking etc. To perform all these works you need to provide room information, history, prices, customer feedback etc. Once you identified which data source is needed by your chatbot- you are good to go. 6). Do chatbot have the ability to learn from the visitors? Yes, these intelligent models are developed with the self-learning ability. They are built with the power of pattern analysis, recommendation engine, predictive behavior etc. They analyze users pattern, behavior, and reply accordingly. 7). Do they ever get tired? No, they are machines. Until they do not face any technical error, they will continuously serve. These chatbots are more effective than human in customer support field where they assist users 24*7 without any trouble. Once your query is not resolved it will pass it to a human for further support. 8). Where will I get this conversation data? If you think that all the conversation data gets deleted after a few time, you are wrong. You can access this data anytime from anywhere over the cloud storage you acquired to keep this conversation. Copyright © 2017 Bluelupin Technologies Pvt. Ltd. All rights reserved.